Two young rug dealers who regularly attend DOMOTEX, namely On the Rugs and The Knots, are bringing freshness and innovation to traditional craft products. 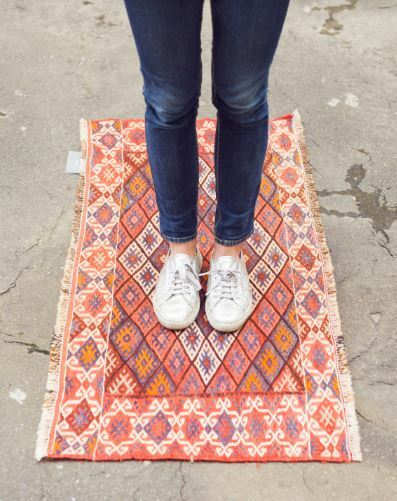 The owners of the brands, Anna Wahdat and Katrin ten Eikelder, are women working in a traditionally male profession and both come from families in the rug trade. Anna and Katrin unite superior quality with modernity and originality. Focusing on sustainability and fair trade in the selection of their products, they increasingly sell via the Internet and social media to access new target markets. Neither has a large rug showroom, preferring instead to focus on matters of quality, such as natural materials, sustainability, fair trade, and originality. One of the defining characteristics of Anna’s brand, On the Rugs, is a strong preference for selectiveness over volume and range. Alongside this belief that less is more, Anna attaches great importance to fair trade and transparency of working conditions in her rugs’ countries of origin. A unique selling point of Anna’s brand is that she invites prospective buyers to “try before they buy” by taking several rugs home with them to see how fit in with their existing decor. “My clientele ranges from well-off retired couples to young families and hip young bloggers. The one thing they all have in common is a deep interest in design and quality interiors,” comments Anna. The On the Rugs website features Moroccan Berber rugs made of luxuriously soft Atlas sheep wool or recycled cotton displayed alongside classic Afghan rugs in pared-back traditional patterns, flat-weave kilims in fresh colours and designs and exquisite silk rugs featuring intricate floral ornamentation. Katrin hit on the idea for her label when she was in New York working as a business development manager. It was there where she saw beautiful oriental rugs in modern settings. Her branding and communication differ from those of conventional rug dealer. 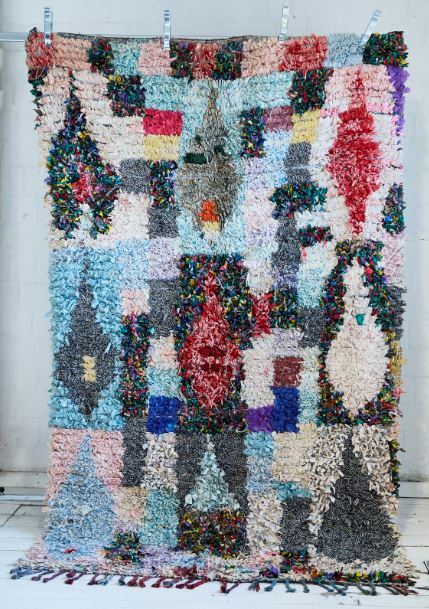 “My aim is to give handmade rugs a new image – to highlight their quality and sustainability aspects while positioning them in a fresh, young context,” says Katrin. She operates a showroom in Berlin that prospective buyers can view by prior arrangement, but for the most part, she sells online, in keeping with the shopping habits of her label’s young and urban target market. “I value fair trade and working with small producers whom I know personally. I like to know where my products come from,” says Katrin. The Knots stands apart from conventional carpet and rug brands, as evidenced by the advertising claim, “Unique carpets picked with love”, which puts a premium on product individuality. 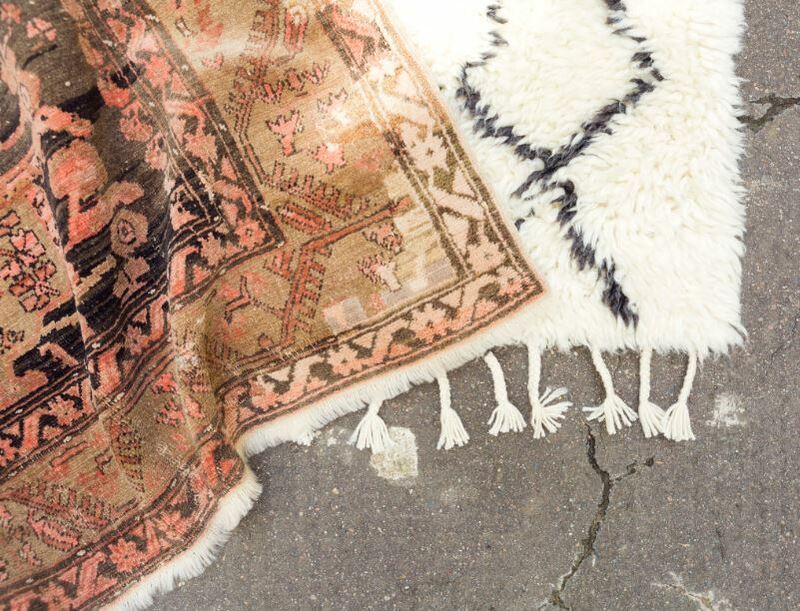 On her website you will find a slideshow of vintage carpets spread out on an urban sidewalk. Katrin herself is featured in some of the product photos – a reflection of her close personal association with the brand. DOMOTEX 2019 is set to take place from 11 to 14 January. The keynote theme for 2019 is “CREATE’N’CONNECT” – a bold statement that puts the spotlight on the current connectivity megatrend.